With the imbalance that exists between my current taxable dividends and tax-advantaged dividends, I am diligently working on deploying capital to my brokerage account to close that gap. Fortunately, Mr. Market has been rather volatile over the last month or so and that means that there have been plenty of buying opportunities for the patient investor. After adding to one of my holdings that was covered in my latest dividend watch list, I was able to add shares to one of the honorable mentions over the last two days as well–and this is one that I have mentioned a couple of times. Prudential Financial was founded in 1875 and is headquartered in Newark, New Jersey. Over their 143-year history, Prudential has provided insurance, investment management, and other financial products and services to individual and institutional investors in over 40 countries. They currently serve approximately 50 million customers and have $1.4 Trillion in Assets Under Management (AUM). 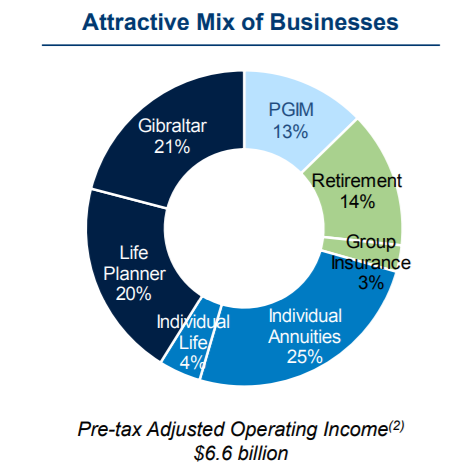 As shown above, Prudential Financial has an assortment of businesses under their umbrella with the top revenue generating businesses being their Individual Annuities, Gibraltar Life Insurance, and Life Planner lines of business. According to Simply Safe Dividends, Prudential Financial checks in with a Dividend Safety Score of 71 and that indicates that they believe their dividend to be considered safe. With a payout ratio of 29% and expectations for that to dip ever so slightly to 28% next year, Prudential Financial has a lot of runway to maintain their dividend. Their net debt-to-capital ratio is 25% and while that is still a safe level, it is pushing the range of comfort for companies in this sector. In terms of their dividend, PRU has a 10-year track record of increasing their dividend and has had high single-digit to double-digit growth over the last 1-year, 3-year, 5-year, and 10-year periods as shown below. Over the last month, Prudential Financial stock has taken a dip along with the market and we currently see their dividend yield trending higher than their 5-year average while their P/E ratio is trending below the 5-year average. These are both signs that the stock price may be undervalued. 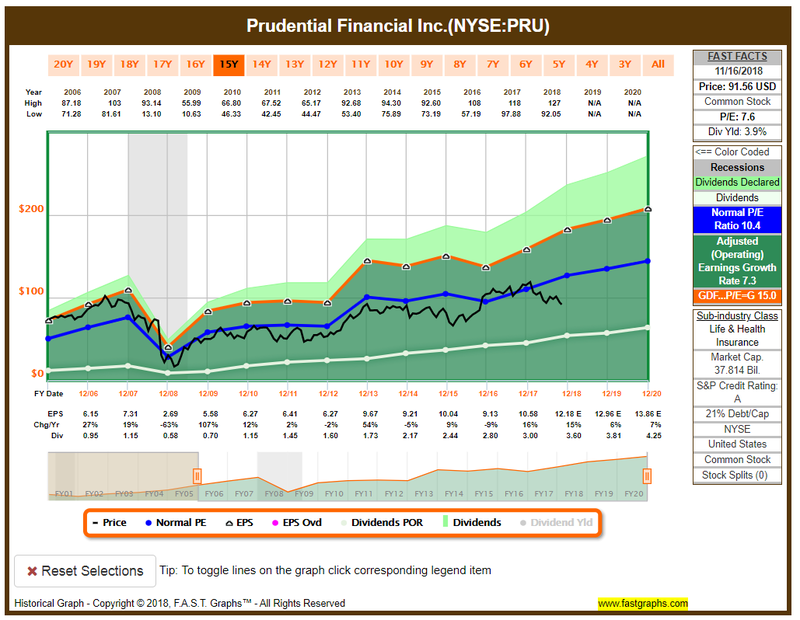 Taking a look at FAST Graphs, we also see that Prudential Financial is trading below their normalized P/E ratio and that would support that the stock price appears to be undervalued right now. Through a combination of these factors and running PRU against my own guidelines, I felt that it was time to add to my position. I have had my eye on Prudential for a couple of months now, and was tempted to add some back in October when I ultimately made the decision to open a position in BlackRock. With the continued move down in price, I entered an order to buy more shares. Last Friday, I had an order in to buy 20 shares @ $91.45 but only received a partial fill. While disappointed, I regrouped and Monday brought continued pressure and I was able to add the remaining shares at a price of $90.90/share. In total, I added 20 shares at an average cost of $91.01 that will add an additional $72.00 in projected annual dividend income (PADI). Overall, this increases my position in PRU to 45.23 shares. Checking in on my revised PADI goal of $5,500, this new purchase brings me up to $5235.96 and leaves me $264.04 shy of my new goal with a little over one month left to go before the end of the year. 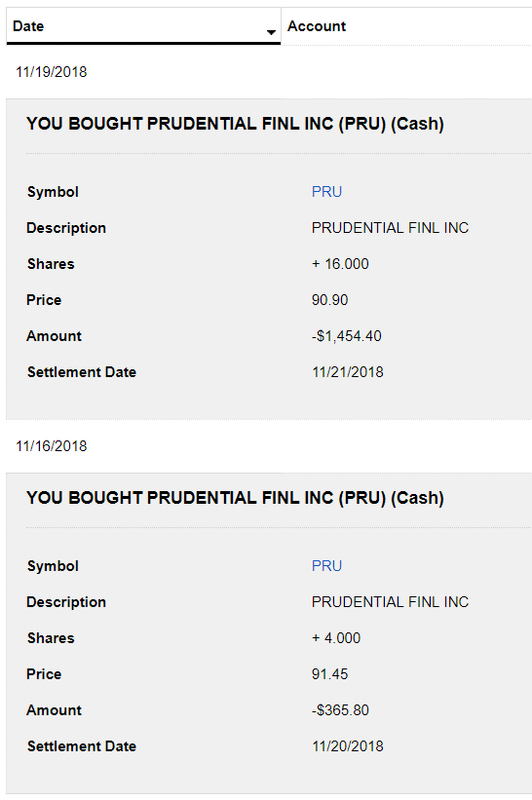 With my average purchase price, I secured shares of PRU at a 3.96% dividend yield and continued to chip away on my new goal for projected annual dividend income. My position in Prudential Financial now stands at 3.5% of my taxable account, which is a little on the high side as an equally balanced portfolio would place each position at approximately 2.8% of the total portfolio. However, given their track record and yield a shade under 4.0% at this time, I am comfortable with that weighting for now. I will not be looking to add more shares at this time, but am pleased to boost my PADI at what I consider to be a solid price. What do you think about my purchase of Prudential Financial? I like the buy. PRU has been on my watch list for some time now but never pulled the trigger. I still plan to start a position sometime in the future but who knows when that will be. One of the few stocks in the Financial sector I like. Hope it does well for you. Thanks Daze, like you I have been watching it for a few months to add to my position and finally found a price that I liked with the recent pullback. Hopefully you’re able to find an attractive entry point and it works out for both of us. Thanks for the feedback Tom. It is great that there is such an abundance of quality dividend paying companies that we are all able to build portfolios of companies we like and still find variety. Great job at building your dividend income further, DivvyDad. It looks like a solid buy! Thanks BI, and I think you have some solid companies on your Financials watch list there. I recently opened a position in BlackRock and will continue to look for opportunities to add more below $400/share. For the long-term, I really like how they generate a good portion of their revenue from passive investments vs. the more traditional actively managed funds. With PRU, I like how they are diversified across different areas and aren’t just a pure investment management company. ive heard of the company and recognize the logo but thats about it for me.. Dont even see much about it on the community side of things. But your breakdown looks good, weird about the double orders but glad it worked out for ya. i think you will hit your goal! just awesome. Thanks PCI, appreciate the encouragement and support! You’re right that this is a name that is not quite as common across the DGI community, and for whatever reason I seem to have a few holdings like that lol. I have considered adding PRU to my Robinhood portfolio on several occasions, but I never have. However, I do own a bit of PRU in my M1 Finance account and think its a solid buy, especially at $91 a share. Keep making every dollar count and you’ll reach $5,500 PADI by year end for sure. Nice to see that you’re a fellow shareholder, and I was happy to grab some at that price to bring down my cost basis a bit as well. Definitely doing the best that I can to reach that goal by the end of the year! 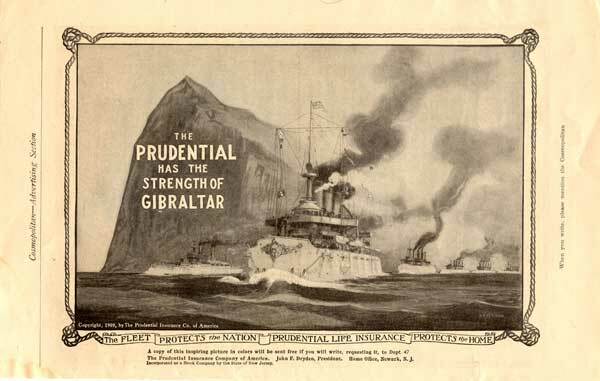 I’ve heard of Prudential but haven’t looked into buying it. Nice graphs and thanks for sharing your analysis. Thanks GYM, appreciate the feedback!